Comte Borrell, 208, 08029 Barcelona, Spanien. Hotel Zenit Borrell is an elegant 4-star hotel situated in full financial centre of Barcelona, only 1200 meters from the train station Sants Estació, the fairground and the Palau de Congressos, it offers easy access to many interesting tourist places of the city. 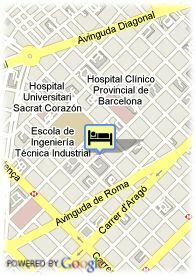 The hotel is only 3 underground stations from Plaça Catalunya and the Ramblas, which also makes it attractive to tourists. 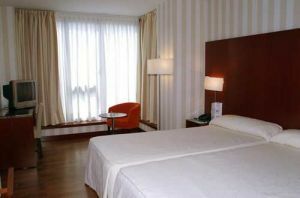 It offers easy access by public transport, close to the Metro and a short journey from the airport and train stations. Bezahltes überdachter Parkplätze beim Hotel (17.00 €).